I love to smile. In all honesty, it is one of my very favorite things to do in all the world! A healthy smile is beautiful and the more smiles you give, the more you get back...it's contagious. 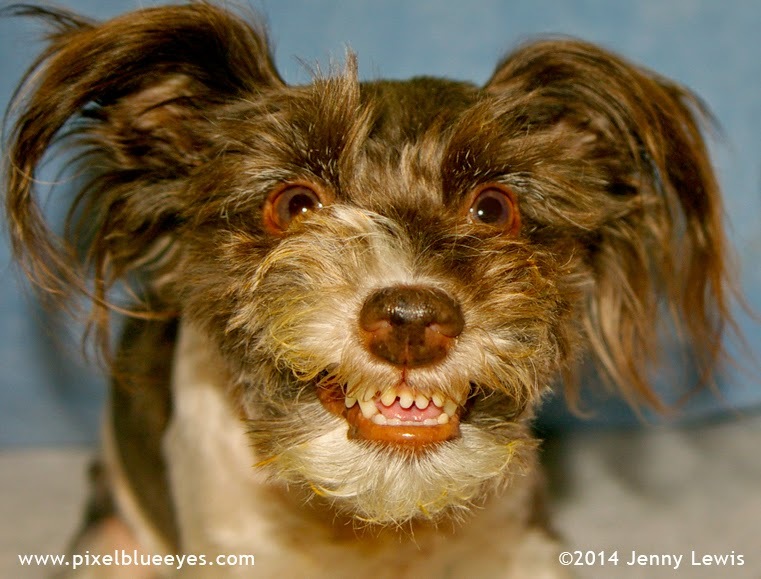 Since I love to smile so much, I like to keep my doggie teeth clean and healthy. 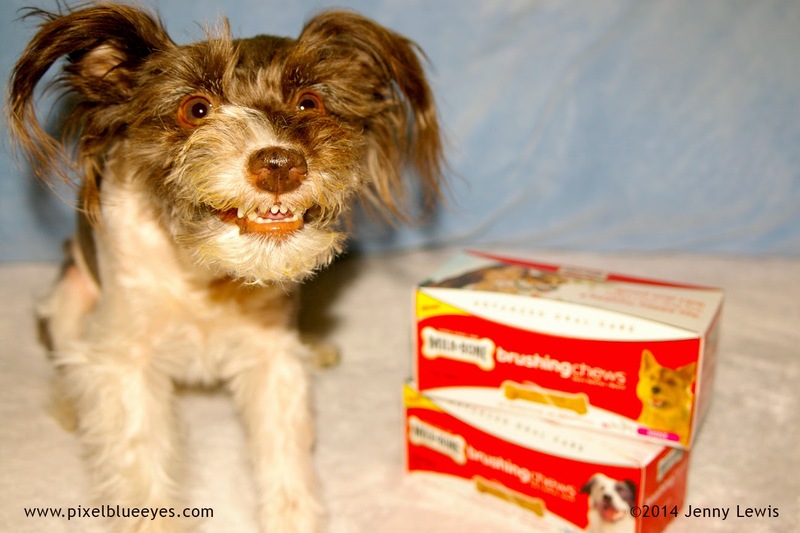 Yes, dogs need to have good oral hygiene just like humans do. In fact, dental health and oral hygiene is just as important for a dog as it is for a human, so it is essential for pet parents to keep their dog's teeth as healthy as can be. For years, Mommy has brushed my teeth. It is a routine I am used to, though I'm still not too crazy about the process. 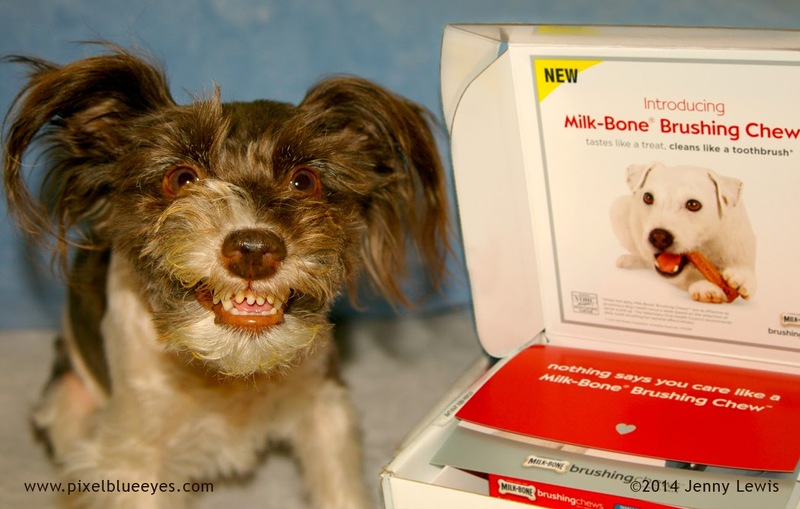 So, imagine my joy at learning that Milk-Bone® has introduced a new product that is clinically proven to be as effective as brushing a dog’s teeth twice per week based on the reduction of tartar build-up and bad breath. 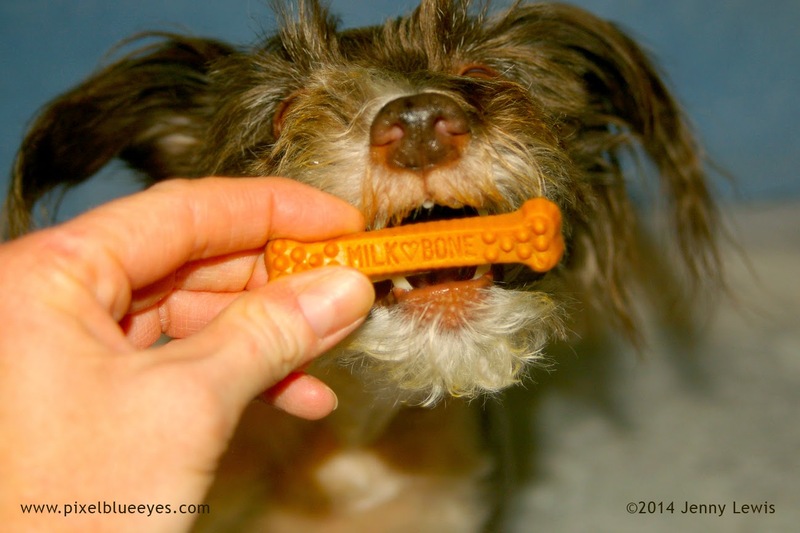 Introducing Milk-Bone Brushing Chews for Dogs! As soon as I heard about it, I signed up to help introduce it. 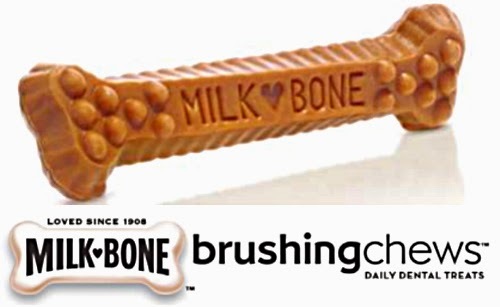 The new Milk-Bone Brushing Chews for dogs is a great tasting bone-shaped chew treat, covered with nubs and ridges designed to clean like bristles on a toothbrush. The bone has a unique 75 degree twist design that helps dogs maneuver the chew to clean down to the gum line, including hard-to-reach back teeth. Clinical trials demonstrated that Milk-Bone® Brushing Chews for dogs are effective in reducing tartar, plaque and halitosis, aka "bad breath". In fact, Milk-Bone® Brushing Chews are so effective that they have earned the trusted Veterinary Oral Health Council’s (VOHC) Seal of Acceptance, the pet industry’s equivalent of the American Dental Association (ADA), for "retarding calculus accumulation" or reducing tartar build-up. Very impressive! Mommy says I've never had bad breath, but not all dogs are that lucky! I insisted that I should try one out. First, I inspected the packaging. The box reminds me of the look of a traditional toothpaste box. The chew bones are in a resealable plastic bag inside the box. Smells yummy to me! 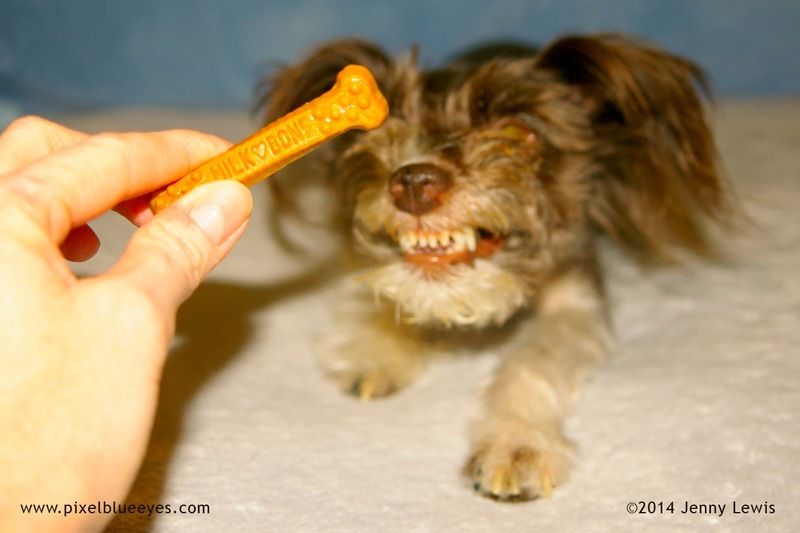 As a matter of fact, 99% of dogs who tested the chews showed them to be highly palatable. Ever wonder who the 1% is? Personally, I couldn't wait to try one! Mommy took a brushing chew bone out of the bag. You could instantly see the twisted shape, as well as the nubs and ridges designed to help clean even hard to reach back teeth. I gave her my best "Pixel Smile" as my way of saying "Please can I have it now". This is such a nice size bone for me. I'm trying the "Mini" chews for small dogs. To give you an idea of the size, I am an 11 pound Miniature Schnauzer. They also have a "small/medium" size as well. Now this is what I'm talking about! Imagine being able to clean your teeth just by eating a yummy treat! I bet Mommy really wishes they had the human version of these! The chews take a bit of gnawing to really "sink your teeth into them" but that is how they are able to clean your teeth. I'm certainly not complaining. 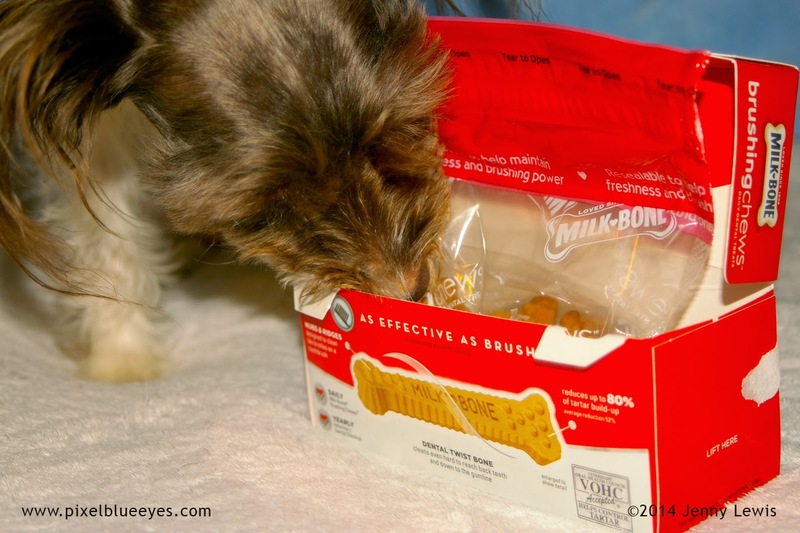 Oral care for dogs has never been so tasty! 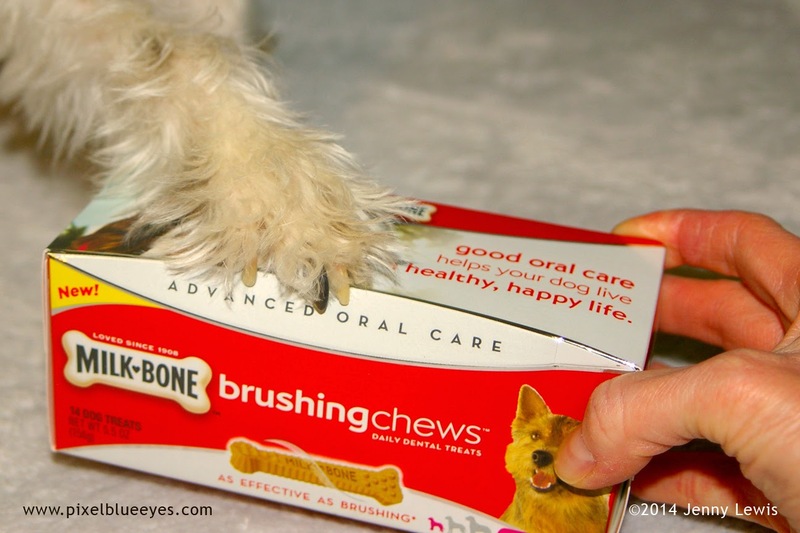 In combination with a veterinary dental check-up at least annually, daily use of Milk-Bone® Brushing Chews helps to ensure good oral hygiene and dental health for America’s dogs. 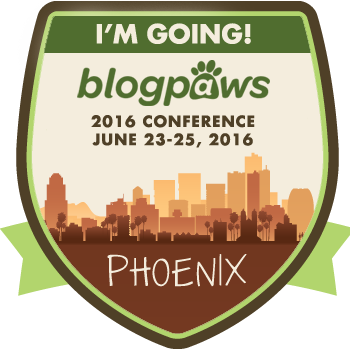 What a fun way to help kick dog periodontal disease to the curb! So, ask for it by name next time you go to the store. Tell them you want the new Milk-Bone Brushing Chews(TM) for dogs...don't settle for anything less. Okay, are you ready for the special surprise I told you was coming?? Ready for my exciting news? I've been dying to tell you! SURPRISE!!! 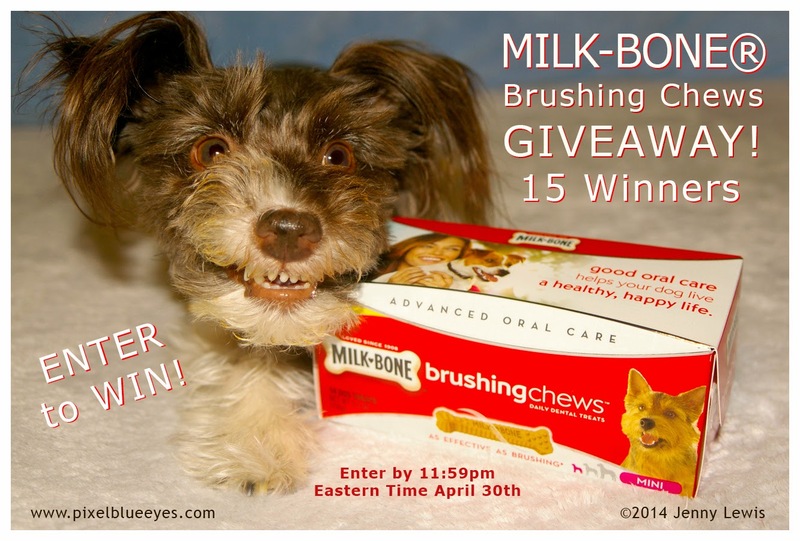 Milk-Bone wants to offer a Milk-Bone Brushing Chew Dental Pack to 15 different winners! The Giveaway will be open through 11:59pm Eastern Time April 30th. All you need to do to enter is fill out the Rafflecopter below and make sure you do the mandatory entry of leaving a comment on my Blog Post. One winner per household. 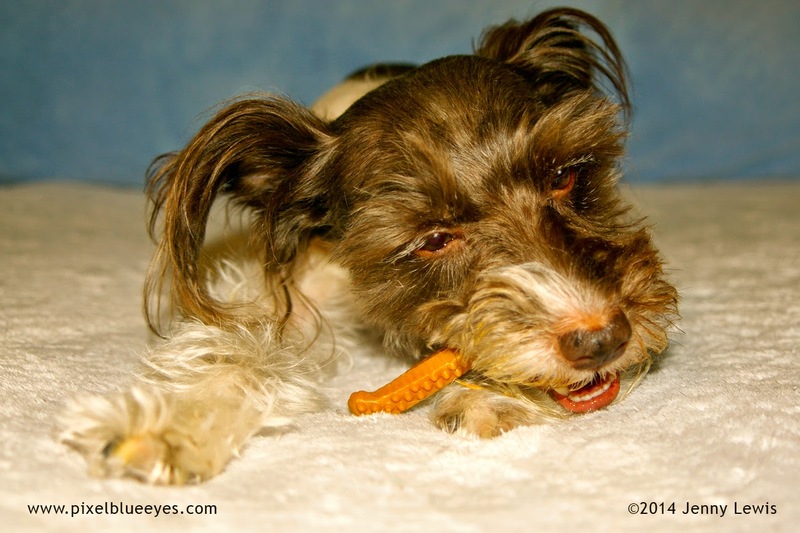 Want to learn more about Milk-Bone Brushing Chews? Get social with them! You can follow them on Twitter, LIKE them on Facebook, or follow them on Instagram. but Pixel Blue Eyes only shares information we feel is relevant to our readers. Milk-Bone is not responsible for the content of this article. We saw those Pixel and we thought they looked good and fun to chew on. Have a tremendous Thursday. Very good blog, as usual, Pixel! Great info and I always love the pictures....You are quite the representative for these dental chews! I would love to try them for my girl, Sweet Pea! 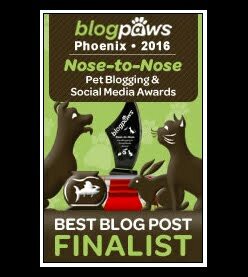 Thank you so much for loving my blog so much. It means a lot! Hahaha, I like being a "doggie representative" for yummy good things. Glad you entered the drawing for little Sweet Pea. Sending lots of love to you both! Hahaha! Napping is one of MY favorite activities as well Joslyn. Bubbles and I could have a nap-a-thon sometime then right? I hope you entered the drawing to win some treats my friend. Pixel, I don't think I've ever seen a dog that likes to smile as much as you do! Thank you for coming to visit me and comment on my blog. I always love hearing from my friends. Have a great day!! 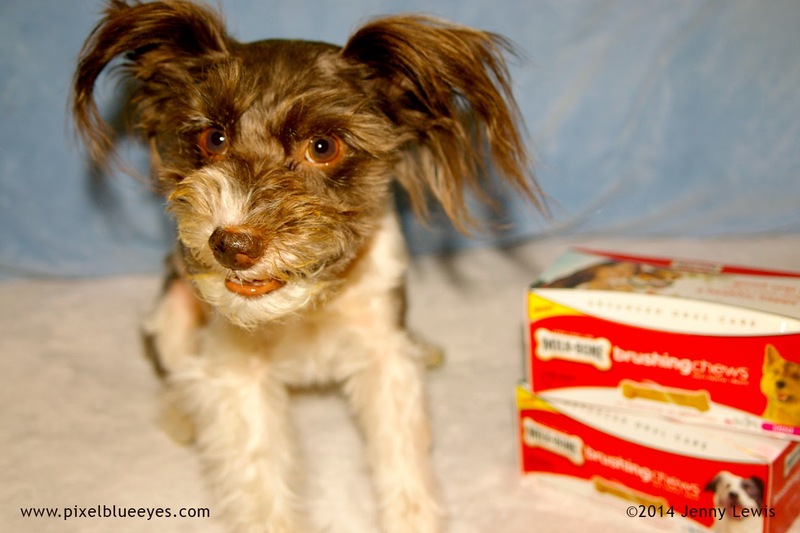 Hi Pixel - Thank you for sharing the new Milk Bone Dental chews! Baxter and Bunky are excited to try them! They are really hoping that Mommy won't have to spend as much money on them as she spends on the dental chews they currently use. thanks for telling us all about them!! Hey Pixel how many chews are recommended for clean teeth. One a day? or a couple times a week? Just checking. Also My human wants to know if you know the caloric count for this treat. Just checking. It sounds like a great way to keep teeth clean . Better then having your mouth poked with a brush or a finger brush.